Zach Lieberman is an artist, researcher and educator with a simple goal: he wants you surprised. In his work, he creates performances and installations that take human gesture as input and amplify them in different ways -- making drawings come to life, imagining what the voice might look like if we could see it, transforming peoples silhouettes into music. He's been listed as one of Fast Company's Most Creative People and his projects have won the Golden Nica from Ars Electronica, Interactive Design of the Year from Design Museum London as well as listed in Time Magazine's Best Inventions of the Year. He creates artwork through writing software and is a co-creator of openFrameworks, an open source C++ toolkit for creative coding and helped co-found the School for Poetic Computation, a school examining the lyrical possibilities of code. Caitlin is a designer and researcher, focused on perception, sensation, and the human-environment relationship. Her work ranges from explorations in physical space, taking the form of large-scale sculptures designed to bring unexpected phenomena into the built environment, to human-scale research around cognition and perception. She’s excited about moments where surprising modalities in perception emerge out of symbiosis between an individual and their surroundings. 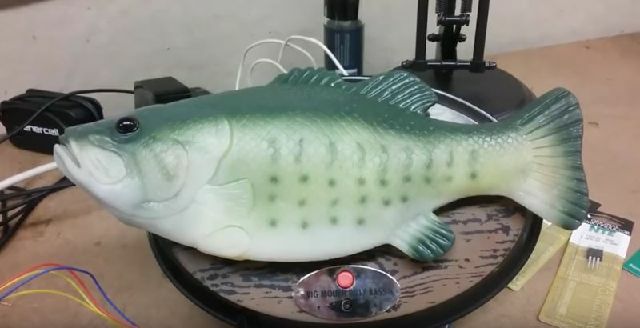 Ben Houge is an internationally active American artist operating at the nexus of music composition, gastronomy, video games, performance, sound installation, and digital art. In addition to his art practice, he has been working in the game industry since 1996, and teaches music technology in the Electronic Production and Design department at Berklee College of Music. During this talk, Ben will share the results of a recent 'food opera' involving sensors integrated into plates and music scored to a meal. 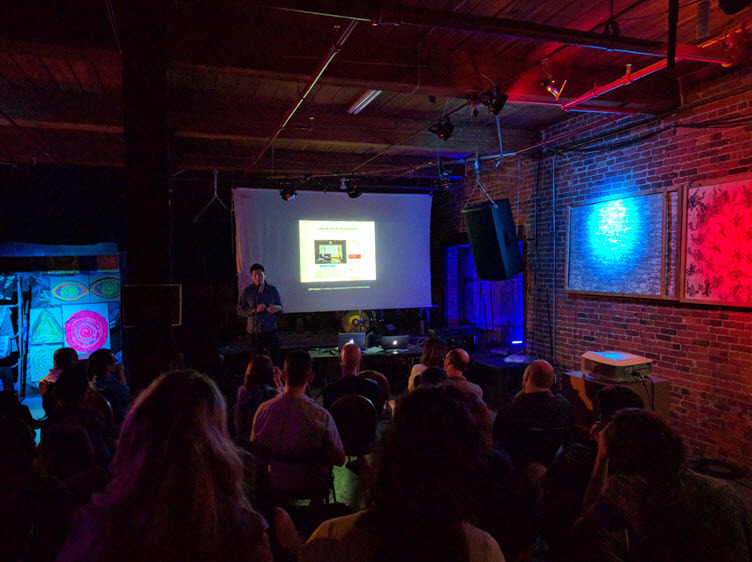 Andrew Blanton is Assistant Professor and Area Coordinator of the CADRE Media Labs at San Jose State University and Visiting Researcher at the Center for New Music and Audio Technologies at the University of California Berkeley. His work has been performed and presented around the world in venues such as Google Cultural Lab in Paris, The University of Brasilia, The City University of Hong Kong, STEIM Amsterdam, and the Dallas Museum of Contemporary Art among many others. His current work focuses on the emergent potential between cross-disciplinary arts and technology in the context of New Media Art, building sound and visual environments through software development. Andrew has advanced expertise in percussion, creative software development, and developing projects in the confluence of art and science. 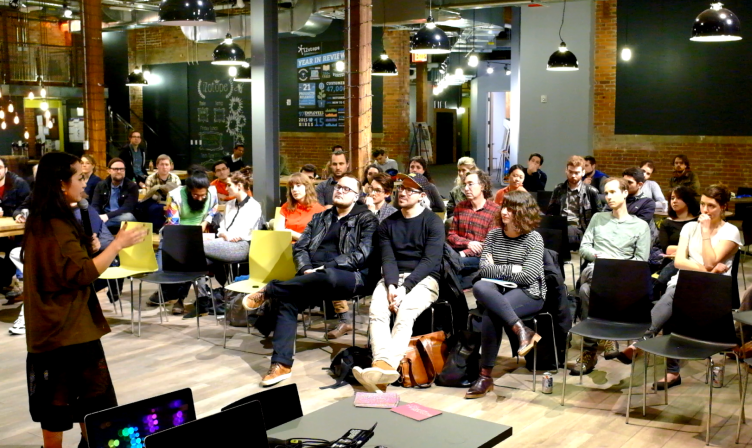 On Wednesday May 2nd we'll be gathering at WeWork to meet IRL and give everyone an opportunity to introduce themselves to the community and discuss their work and interests. 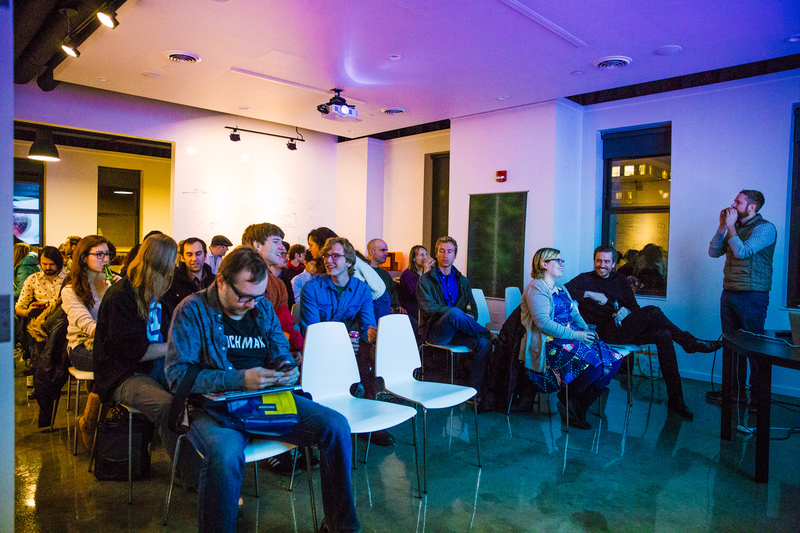 if you've never been to a Tech Poetics event before, this will be a great opportunity to make connections with other folks interested in technology and art. 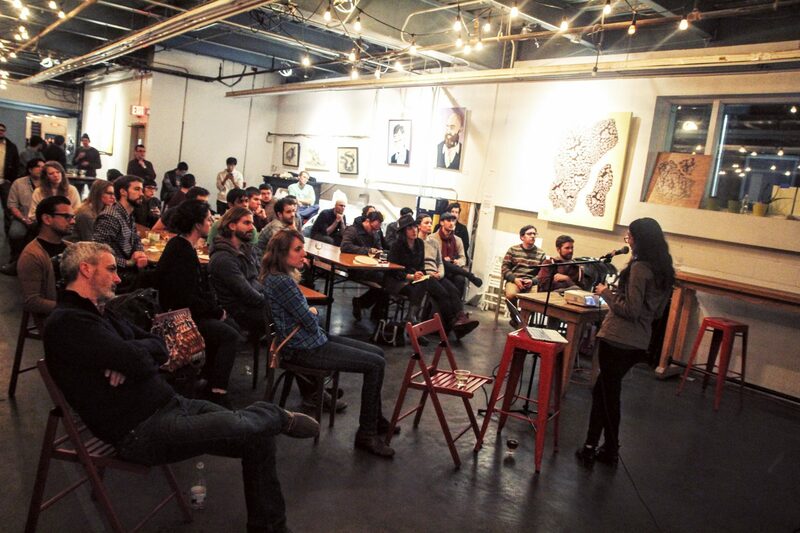 If you've attended our events before, come shake off your Winter blues and see some friendly faces! Pizza provided by us and beer provided by WeWork. Thanks WeWork! Miriam Simun is an artist whose work spans video, sculpture, scent, food, writing, public performance and numerous other disciplines. Often based in ethnographic, historical and scientific research, her work has been called “Performance as Research/Research as Performance.” Among her chief concerns are are attending to sensorial, embodied forms of knowledge; exploring the messy complexities and contradictory poetics residing at the intersection of Nature/Culture/Power; and developing the means to imagine alternate futures. Some bodies do some things, and others do others. 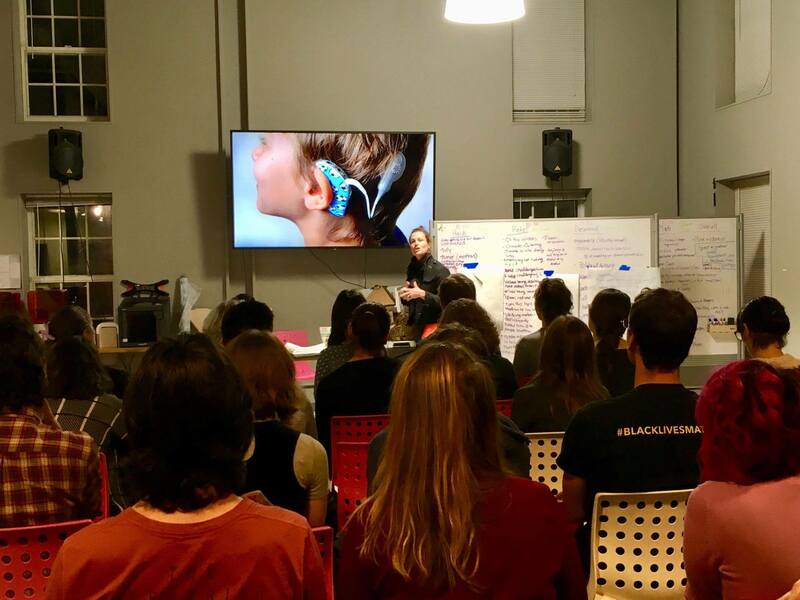 Prosthetics, bodily capacity, expanded engineering and creative research, flexible adaptation, possible futures, interdependence, collaborative design, inclusive systems, productive uncertainty, and critical making—these things drive my work. At this talk, I want to explore ways to expand work on disability and technology into some newer uncharted territory. Theo has had a profound impact on the creative tech scene through his work on openFrameworks and his co-founding of the Cambridge-based creative studio, Design I/O. New American Public Art is changing the way public art is created, enjoyed, and critiqued. Drawing on sociology, urban design, and user experience, NAPA combines open source technology and industrial materials to create robust and responsive installations. The outdoor public realm is a harsh environment in many ways. Learn how NAPA uses code, engineering, and modern fabrication techniques to bring ideas off the table and into the streets. Wonyoung So is a data visualization designer that specializes in combining computational analysis and narratives, in particular, network visualization and mapping the invisible. Wonyoung is also interested in developing (creative) systems. He is a data visualization specialist at SENSEable City Laboratory at MIT and his work has been recognized and exhibited by Adobe and Lift Conference, among others. Dr. Nan-Wei Gong is the founder and CEO of Circular2, and a research affiliate of the MIT Media Lab. Her primary research interest is in digital interfaces that seamlessly integrate into everyday objects. 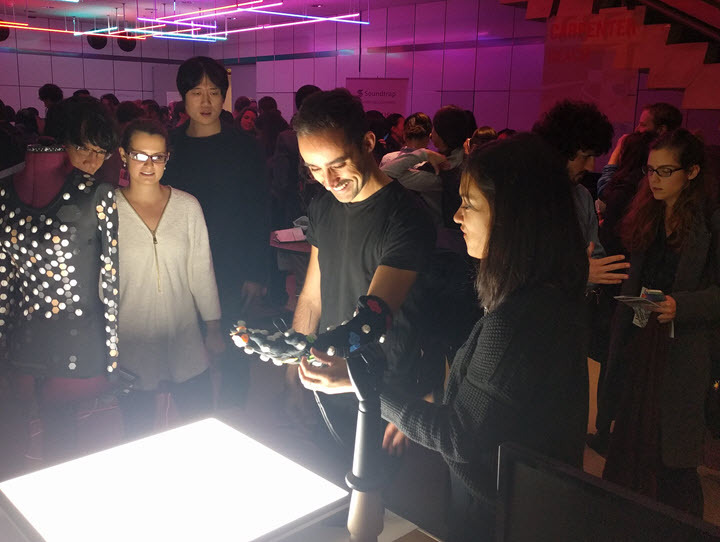 Her past work includes flexible and customizable printed sensing surfaces for gestural control, time-of-flight modules for 3D gesture tracking, and wearable sensing for dynamic management of ubiquitous media. At MIT, Nan-Wei was an Energy Fellow, and has extensive experience developing low-power sensing systems and wearable electronics. She holds a PhD and MS degree in Media Arts and Sciences from the MIT Media Lab, where she worked in the Responsive Environments Group under Prof. Joseph A. Paradiso. 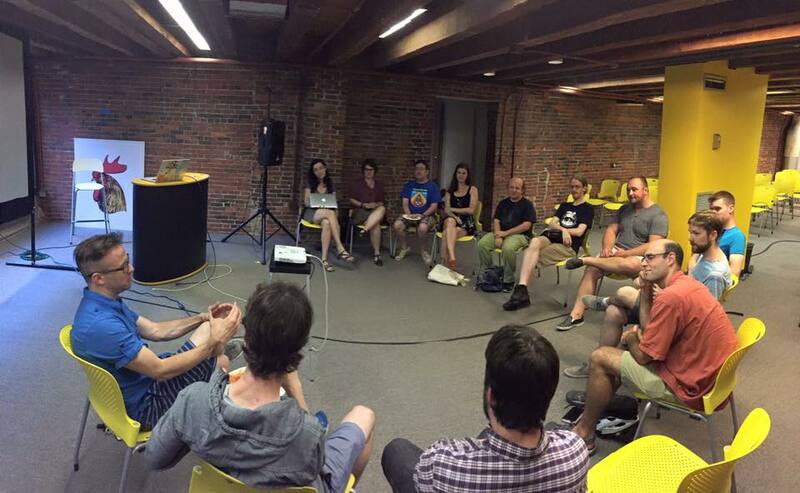 In August, Boston Tech Poetics invited 16 artists and creators to Ringe, NH to unplug and explore some of the topics covered in prior tech poetics meetings in a natural surrounding. Three workshops were held focused on the topic of 'Digital to Analog'. Kawandeep Virdee led a workshop on pattern drawing in nature. 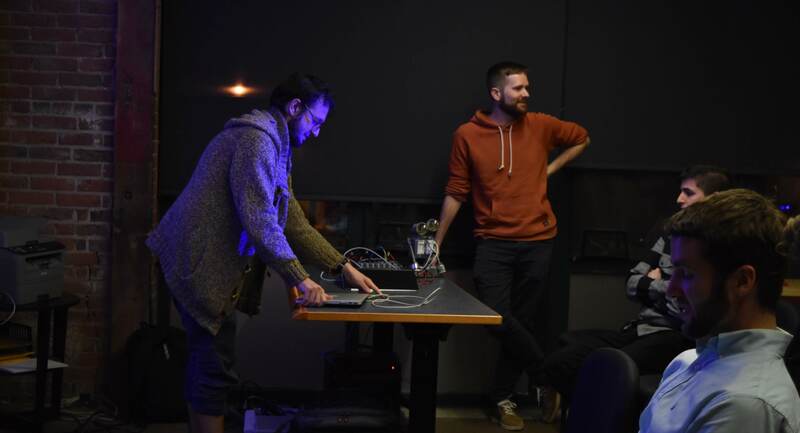 Adam Ribaudo led a workshop on digital music production with analog instruments. Rosa Weinberg and Sadiya Akasha led a workshop on programming with human looms. Kawandeep moved from the html canvas to the IRL canvas for a recent set of large scale drawings, currently on view at OPEN in the Active Fields show. The drawings are inspired by minimal computer art and geometric repetition. He'll share some background on the development of the show, and give a tour of the works- highlighting aspects of the transition from digital to physical works, as well as themes and suprises that arose in the series of large-scale pattern paintings. Laura and Rosa are collaborators whose practice explores the embodied senses, perception, and calm technologies. Their latest project, the Stethosuit, is a wearable bodice that acts as a sonic portal between the inner universe of our bodies and the outer universe of the cosmos. The bleeps, bloops, and rhythms of our breath, stomach, and heart synchronize with the bleeps, bloops, and beats of pulsars, flares, and orbits. Rosa is a maker, educator, and architect who teaches at NuVu and maintains a private label piñata service. Laura is a designer and independent curator who also runs a personal styling practice, Hack the Dress Code. 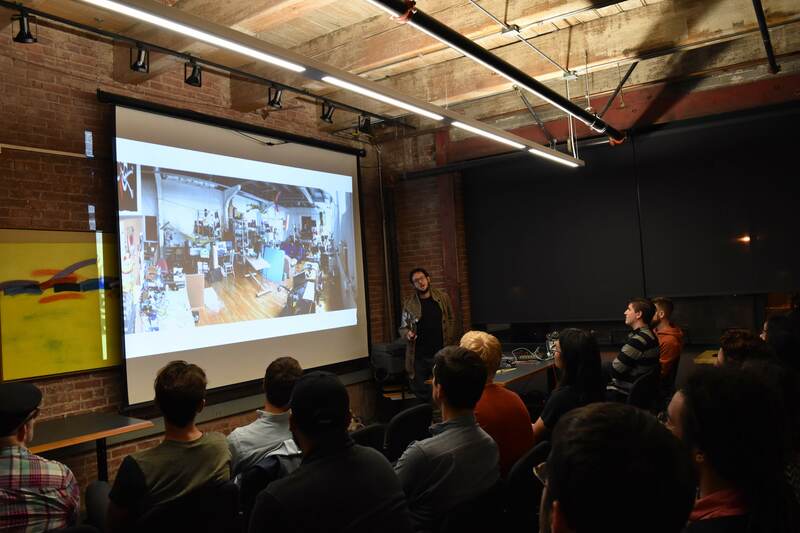 Amedeo is a Boston based software engineer and the creator of Simmetri, an engine and application designed for creating interactive art and 3D experiences for screens, projections and virtual reality. His talk will comprise of an intro followed by a live demo where we'll build an interactive show together (with suggestions welcomed!) to see how its editing environment works. Ani is an artist, designer, and speculative technologist currently conducting research in the Design Fiction group at MIT Media Lab. Her work deals with the intersection between technology, the mediated body, culture & the sensorium. 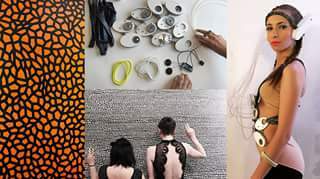 Through engineering 'cultural prosthetics,' Ani's work employs the language and tools of design to pose questions, reveal embedded assumptions about our world, and to inspire us to imagine possible futures. Victoria is a Somerville-based multimedia artist and musician whose work is positioned at the intersection of art history, pop culture, and identity politics. She constructs interactive video/sound installations which layer and saturate appropriated media to produce new critical readings. Through a process of visual exaggeration and effacement, her video work holds up a mirror to the absurd side of images we consume. Shen's talk will discuss the strained yet harmonious relationship between art and technology within her own practice and the way technology reproduces our sexual and violent fantasies. 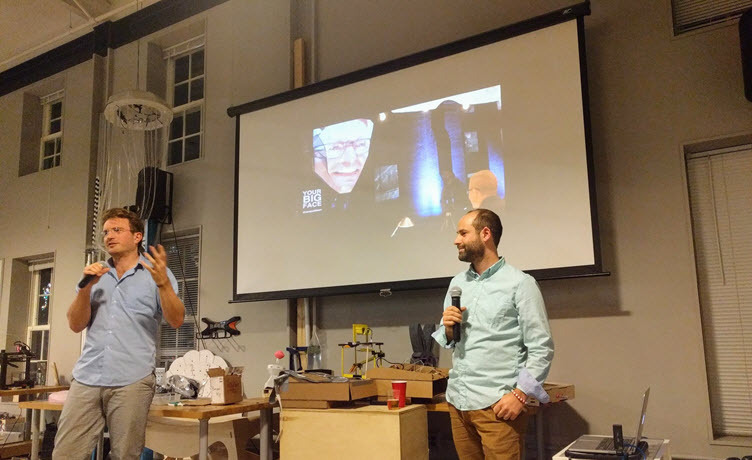 Nick is the founder of Curious Sound Objects, an outlet for the various interactive sound forms coming out of Cambridge and Somerville in Massachusetts. Nick will present about the objects he's constructed as well as the community he's created. Matt is a music and virtual reality software developer. He is a former Leap Motion employee where he created interactive physics toys ranging from centipedes, to pluckable flowers. In his presentation titled 'Playful Physics Toys - in 3D! ', Matt will go through the long term process of developing interactive physical objects that started with simple blocks and ended with constructing dance robots. Eitan is an Assistant Professor of Computing and the Arts at Smith College where his creative research and art production inform his teaching of algorithmic art and computer science. As a recent transplant to the Boston area, I'm excited to introduce him to the community. 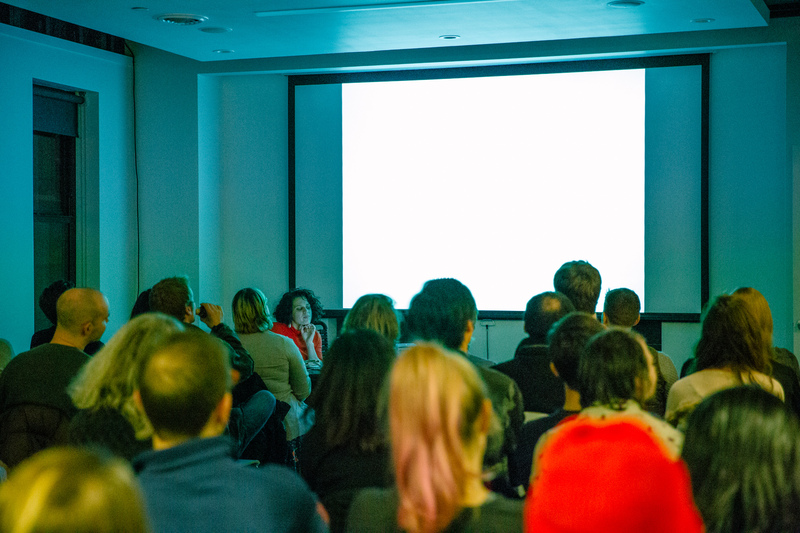 Eitan will be giving us a tour of his work with 'Lessons learned in 18 years of creating interactive installations'. Saba is an artist, designer and entrepreneur. Her latest project, Pulse and Bloom, is an interactive and social art installation that visualizes participants’ heartbeats, and invites people to share and sync their heartbeats in a rhythmic pattern. Pulse and Bloom is one of the largest biofeedback installations of its kind, allowing a group of 40 people to visualize their heartbeats simultaneously. Pulse and Bloom received the Burning Man Honorarium Art Grant in 2014. After its premier at the Burning Man Festival in Black Rock City, Nevada, Pulse and Bloom began a world tour, bringing the installation to festivals and galleries across three continents. In her talk, Saba will discuss the process of designing and building an interactive art piece of this nature, and the multidisciplinary team that spans across multiple cities (Boston, San Francisco, Los Angeles, New York, Bangalore, and London). Dana Busch's work focuses on sustainability, urban planning, public health, and community/design partnerships. 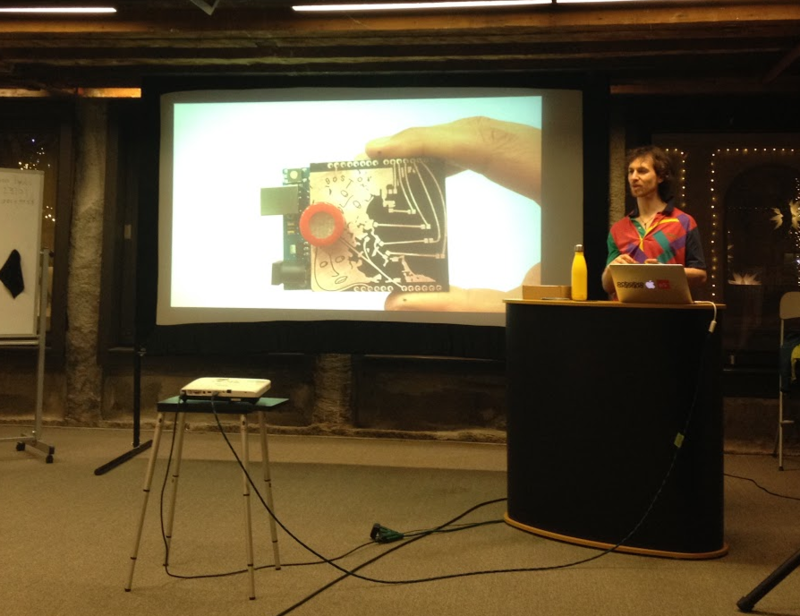 Her most recent collaboration, Tidraphone, was on display in Fort Point through the Fall. Dana will be talking about the concept, the process, and what it's like to work with the City of Boston on a semi-permanent interactive piece on a public bridge over Coast Guard waters. 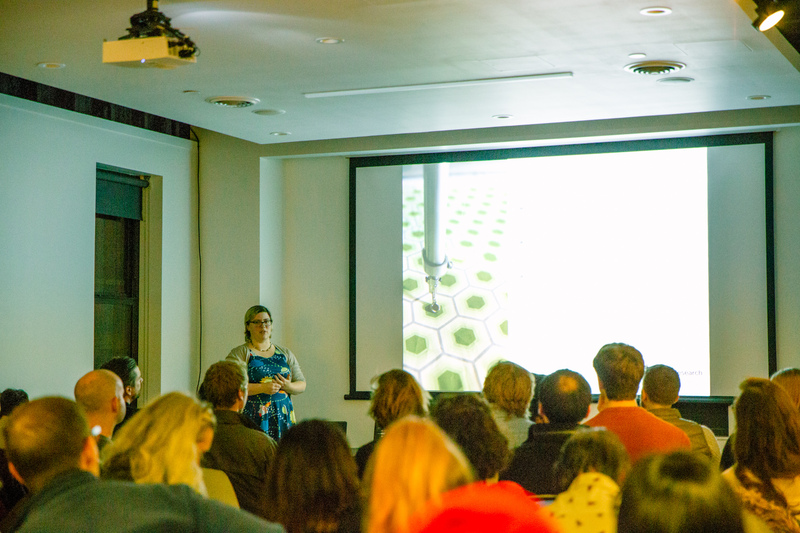 In October, we held our 3rd annual demo night at the Piper auditorium in Harvard's Graduate School of Design. We had a strong showing of about 25 artists and makers who presented their work to about 150 attendees. 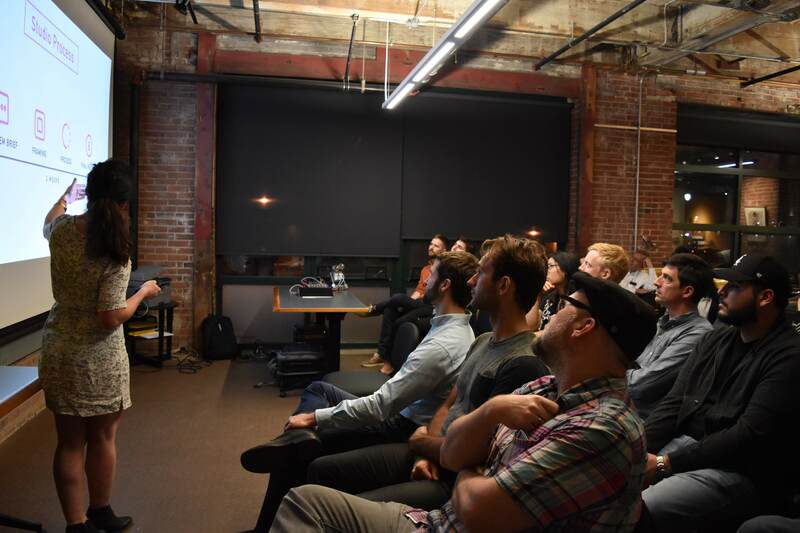 In July we heard presentations from Irene Ros talking about her work with Open Vis Conf as well as Sands Fish, Emily Garfield, Kawandeep Virdee and others talking about their Eyeo 2015 stories. Join the Tech Poetics Google Group or Follow the Facebook Page.